Shopping for Horror: Friday the 13th Plush? Cuddle up with this Jason Voorhees plush…but don't ask for his mommy! 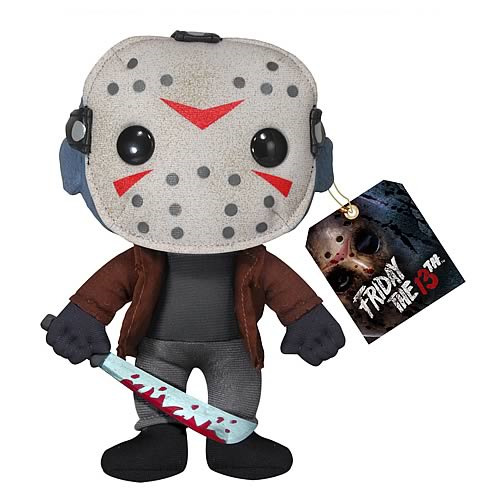 Adorable 7-inch plush version of Jason Voorhees from Friday the 13th. Now you can cuddle up with Jason Voorhees…but whatever you do, keep an eye on those campers! This Friday the 13th Jason Voorhees 7-Inch plush is a cuddly, creepy way to get close to your favorite horror icons! Order yours today!